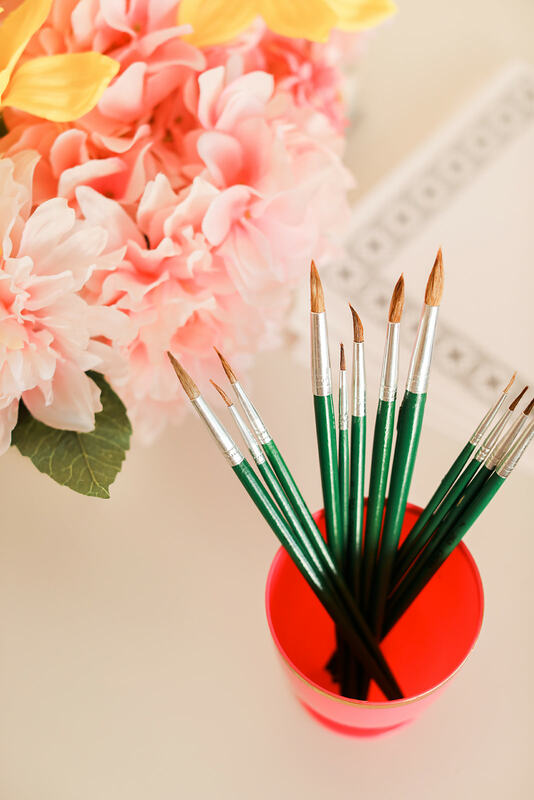 In college, I took a modern art history course, and I loved learning about numerous talented artists. Frida, was one of them, and I have loved learning more about her since that class. At the shop, I had been really wanting to put together an art party centered around her, and when I was asked to come up with something for Women's Equality Day, I went for it! 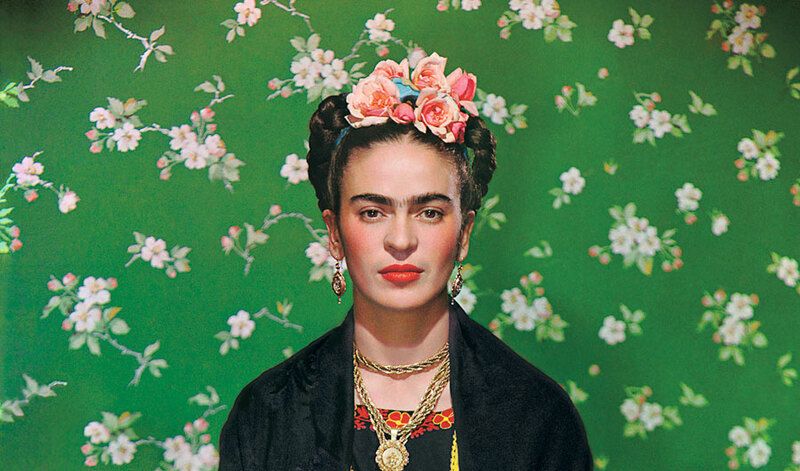 We celebrated a women's art icon at adult's and children's parties, and it was so much fun. 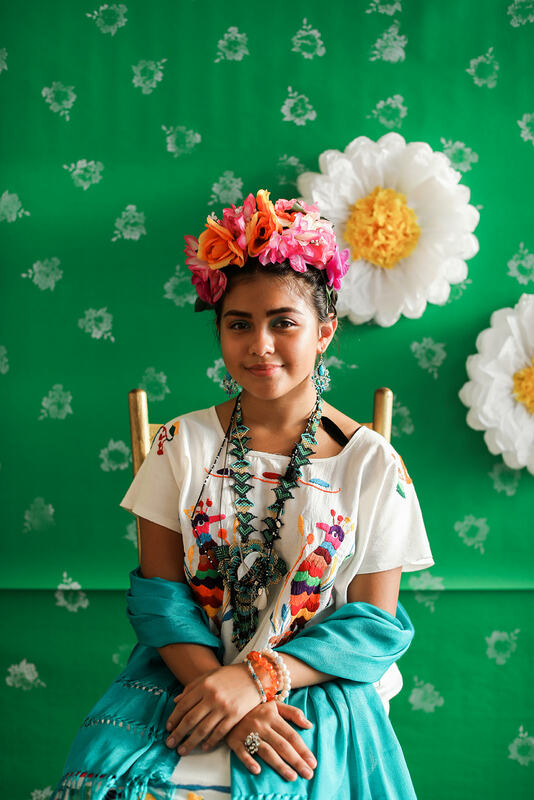 The setup was colorful, and the activities were Frida based. I had a lot of fun ideas that I had been thinking of for a while, so I was excited to see it all come together. Special thank you to my friend Jill for capturing the adult event, and the setup for us! 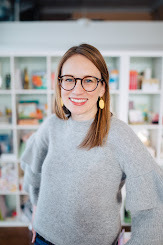 In love with the beautiful pictures she took - they are tagged below photos. For the party backdrop, I wanted to recreate the famous green background photo of Frida. I covered our backdrop wall with green paper, and took a flower stamp to it. 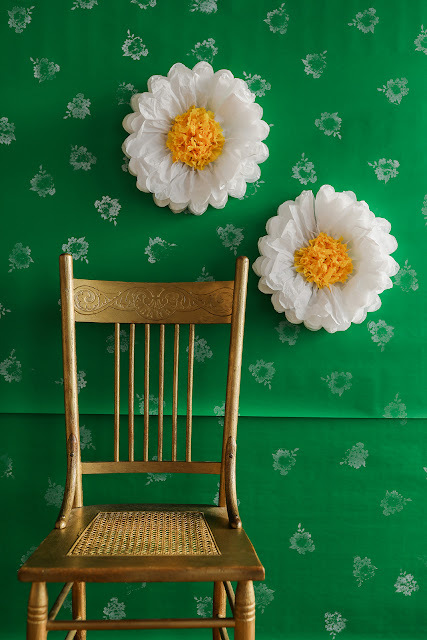 It was a simple version of the gorgeous green wallpaper she sat in front of. 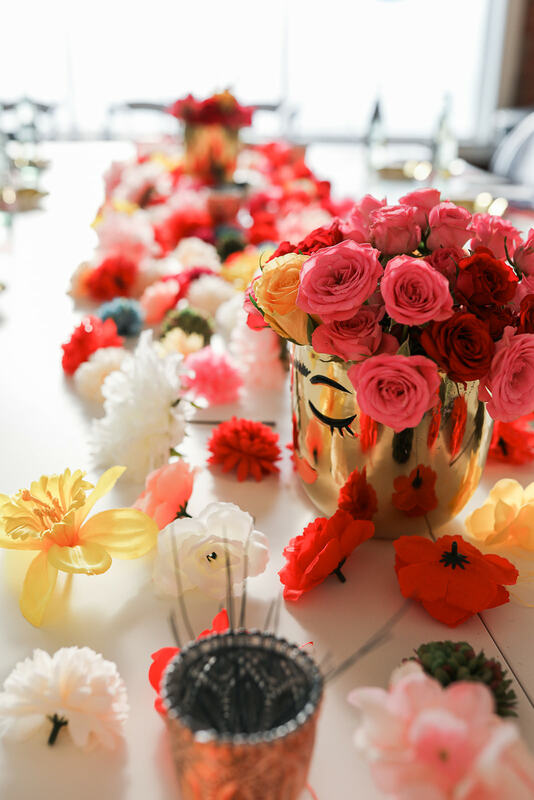 Definitely doable if you are planning a party yourself! 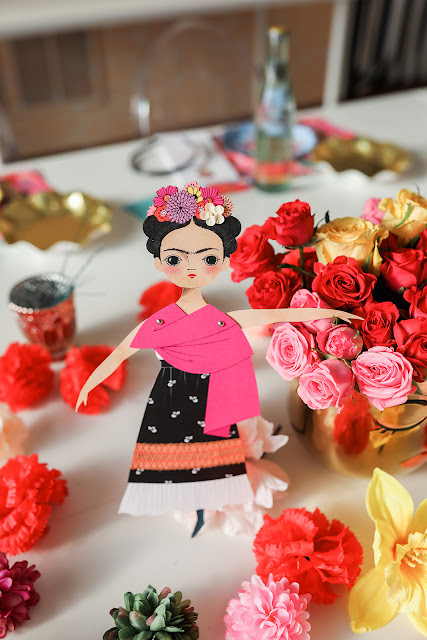 A local Mexican boutique, Aztekas, reached out to collaborate for the event, and they were able to send this beautiful Frida for the parties. She was so kind with the guests and let us take lots of pictures, plus she looked amazing. It is always so fun working with other local small businesses. Definitely check them out! 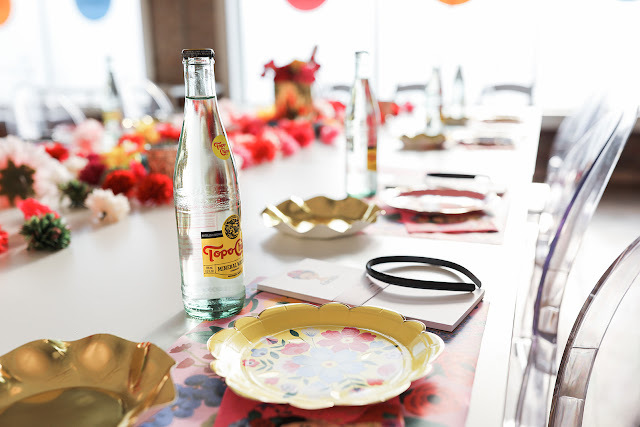 We went all out with color for the table settings. I loved pairing all of the loud floral prints, and matching them with new to the shop Frida napkins. We added in solid colors as well to break it up. For the adults, they went home with a Frida notepad and post card. The children, went home with a Frida paper doll and post card. 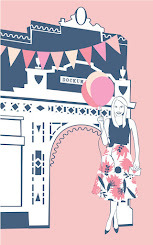 They are beautiful items illustrated by an artist we carry in the shop and make for such fun gifts! Plus they looked beautiful on the tables, and the paper dolls have that green backdrop! 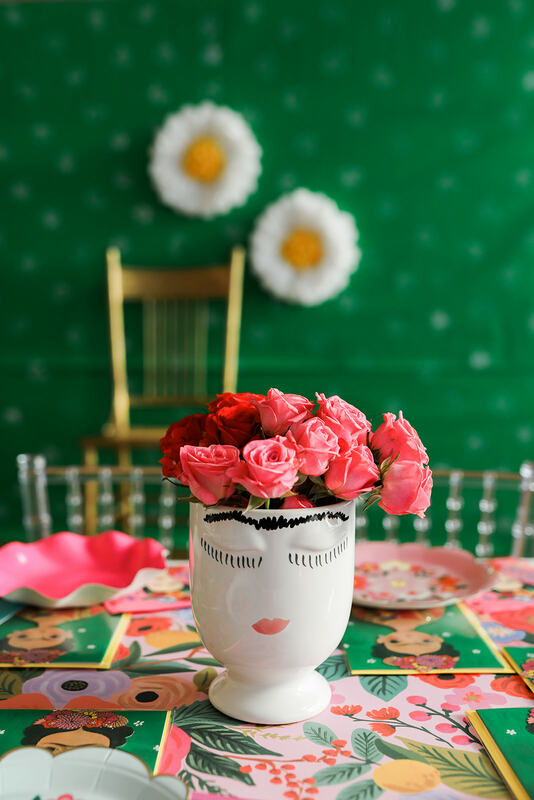 As centerpieces, I added uni-brows to some fun face vases and loaded them up with bright roses. 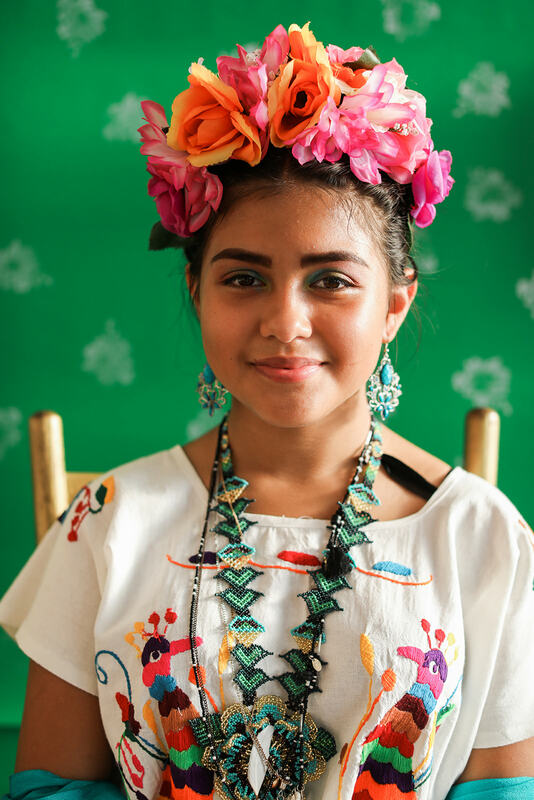 For food, we served colorful and delicious cookies from local Mexican bakery, Juarez Bakery. At the adult event, I also served yummy chips and salsa from Molino's. 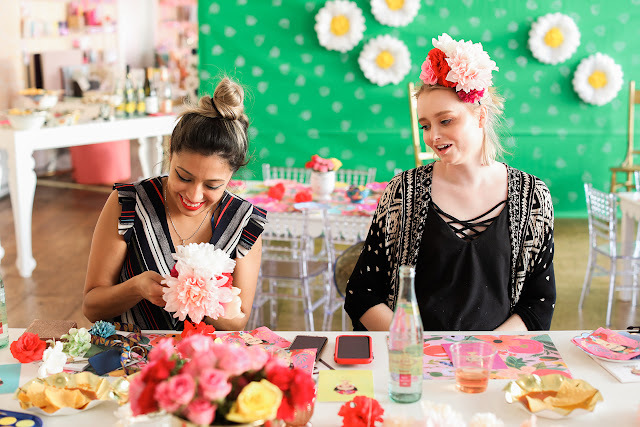 I wanted the event to be authentic, and promoting other local businesses is very important to us. Highly recommend both! The wedding cookies from Juarez Bakery are seriously addicting. 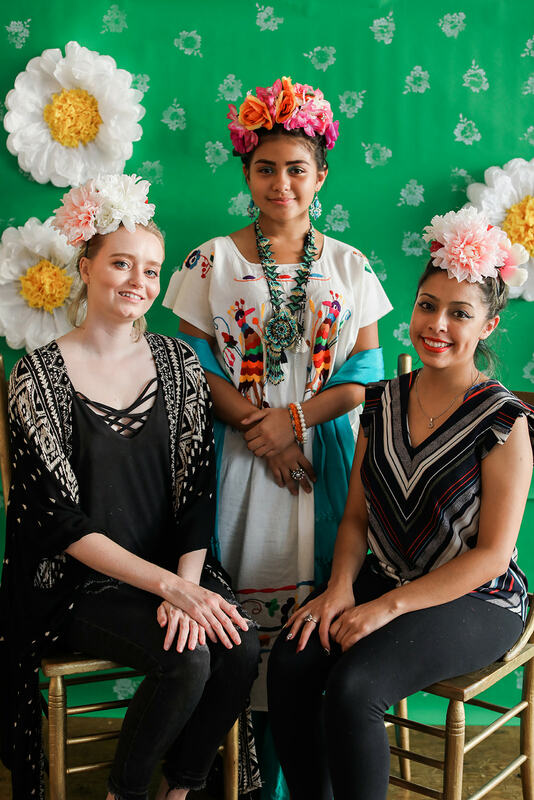 For the event activities, guests created floral headpieces or decorated hats, self portraits, and listened to the Frida biography from the Rebel Girls book. With the floral headpieces, we all decided bigger is better. 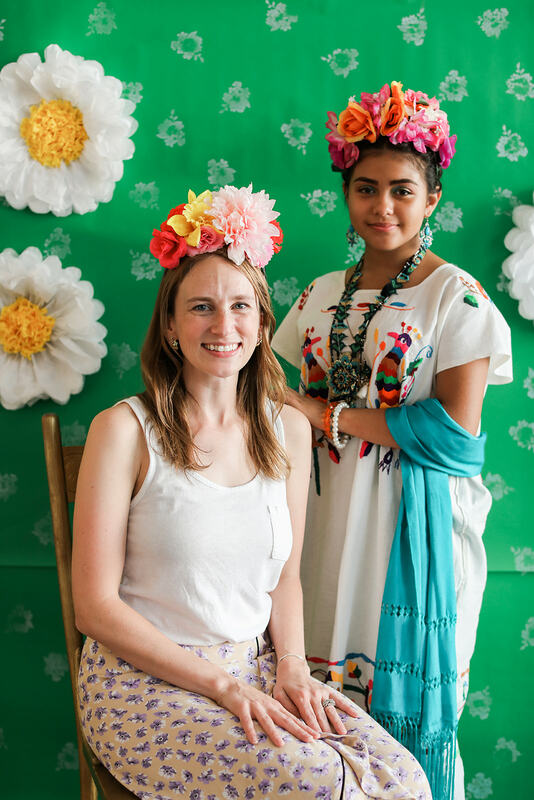 We did them first, so party goers could wear their creations in pictures with Frida. Plus, they were fun to incorporate into their self-portraits. 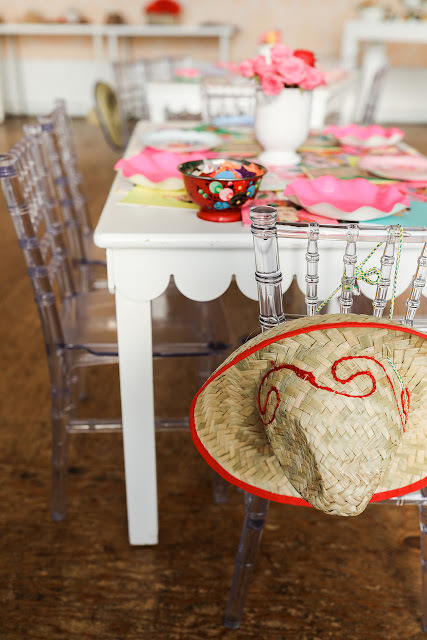 The boys that attended, decorated hats to channel their inner Diego Rivera (Frida's husband). This was followed by story time with Frida, cookies, and then self portraits. For the adult party, we provided watercolor supplies, and for the children's event, crayons. Thank you to everyone that attended and partied with us! 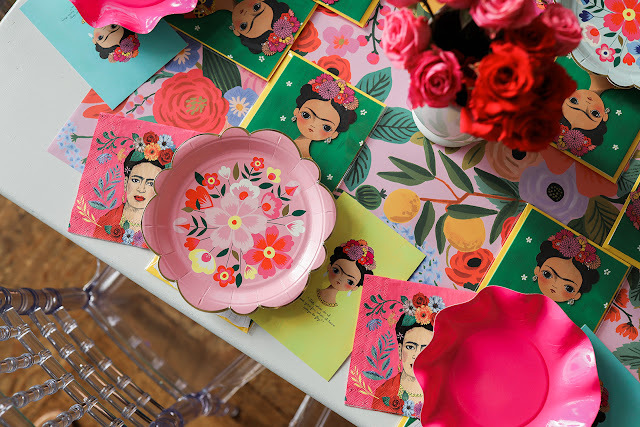 If you are interested in throwing your own Frida party, shop the supplies below.